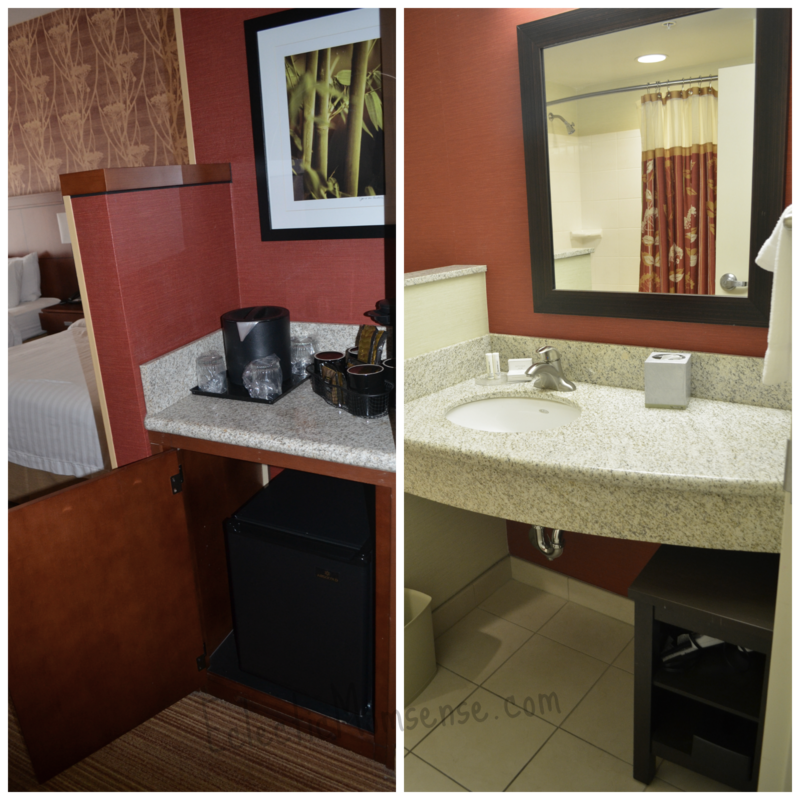 A couple weeks ago we had the pleasure of staying at the Courtyard by Marriott Flagstaff. We were so excited to work with a local AZ Marriott and share our review. Spring break was the perfect time to escape Phoenix for some quiet mountain air. We packed up and headed north with very little plans in mind for a short weekend getaway. After a quick picnic we headed to the hotel to check in. The Marriott Courtyard is conveniently situated close to I-17 and I-40 making it easy to access anything in Flagstaff and around the area. 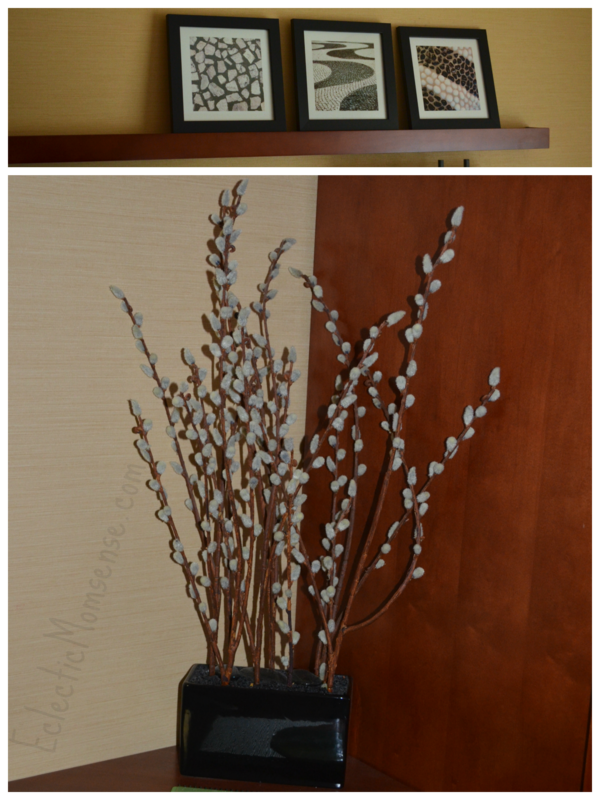 We stayed at another local Marriott back in December and were pleased to receive the same level of service. The lobby was beautiful and our whole family loved the Go Board. 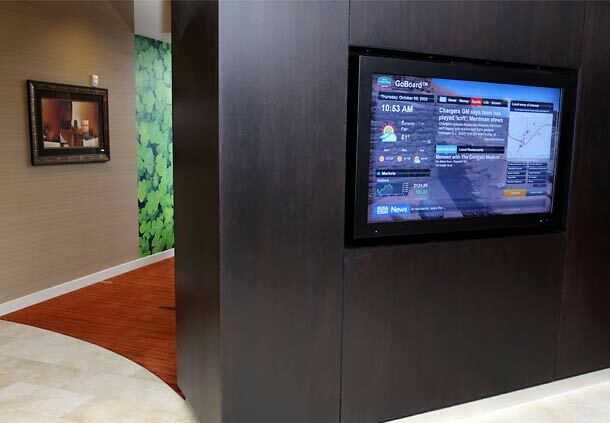 A touch screen with area information at your fingertips. 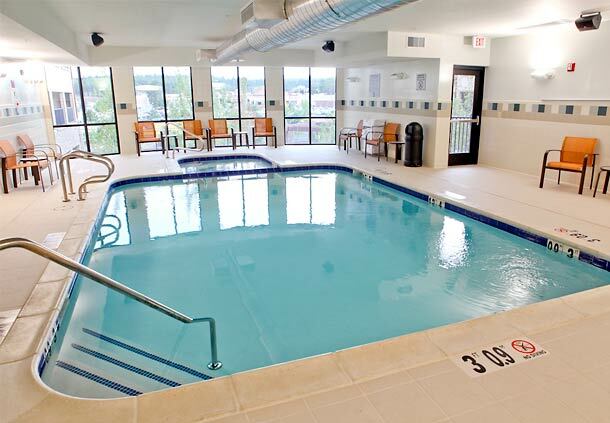 We promised Aiden a swim, so the whole family got changed into our suits and headed back down to the indoor pool. I made a mistake in assuming it was heated. Poor Phoenix kids freeze in water below 80 degrees. The little one and I got out quickly, but JD and Aiden made return trips during our stay. There was a hot tub also that looked very inviting, and the whole thing overlooked the beautiful courtyard. Other amenities included clean laundry facilities, gym, bar, and restaurant with breakfast service. Our room was perfect for our family of 4. We had an extended queen room with a little extra breathing room which made it easy to setup the pack ‘n’ play. We loved all the little design touches that added a feeling of calm and relaxation. And traveling with a 3 1/2 year old definitely calls for some of that. What is it about traveling and staying in a hotel that brings out the crazies. I’m sure my parents would say my brother and I were the same way. Not only was the room spacious, but it also had a ton of storage. A coffee area and mini-fridge made it easy to bring fixings for lunch with us. There was plenty of space for all our clothes in the wardrobe and drawers. But mom’s favorite touch was the small cubbies in the bathroom. I hate when I travel and the only storage in the bathroom is the counter. I loved that I had a place to store all our toiletries. And saving our favorite for last, the fire pit. Situated right in the middle of the huge courtyard was a comfortable sitting area with fire pit. We had the staff turn it on for us just as the sun was setting. This was Aiden’s first official campfire and s’mores experience. I usually just take the dessert torch at home to make up toasted marshmallows. We had strict rules while we were out there to stay seated, and even though he still had a case of the travel crazies he did well. The flame was huge and unpredictable in the wind. It was “fun” watching JD do a fire dance as he attempted to roast the marshmallows. I could only take so much and soon took over. We all enjoyed our s’mores in different ways. Aiden liked to disassemble his and eat as separate units. I like to toast the heck out of mine and JD liked his barely touched and the chocolate cold. Marriott lived up to their comfortable bedding because the whole Denton clan slept through the whole first night until 7:30. Well the littlest did wake up for food once, but still I got to sleep until 7:30! 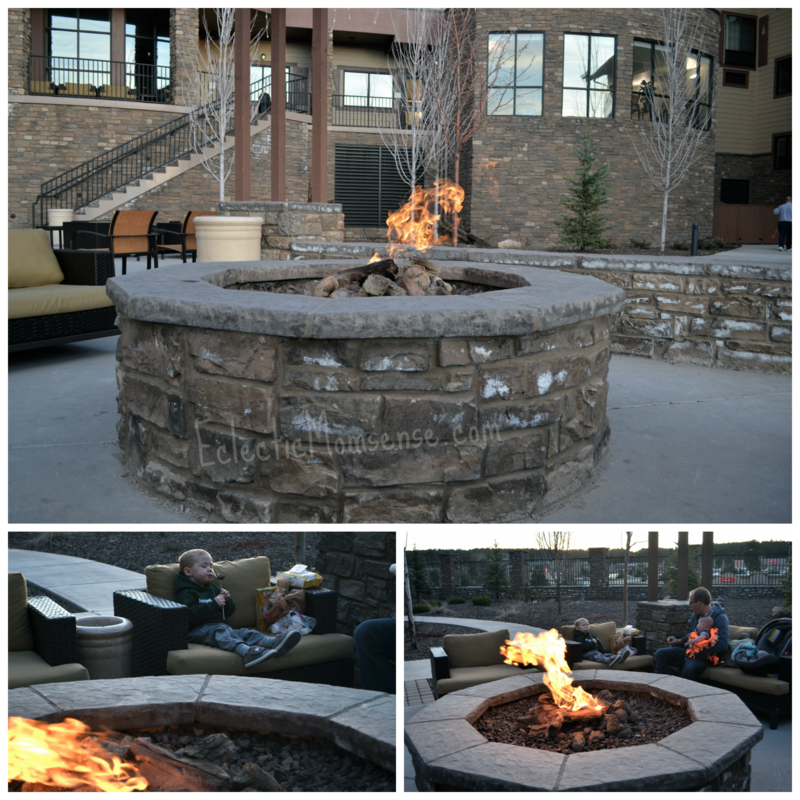 We will definitely be returning to the Marriott Courtyard Flagstaff as the weather warms up down here. 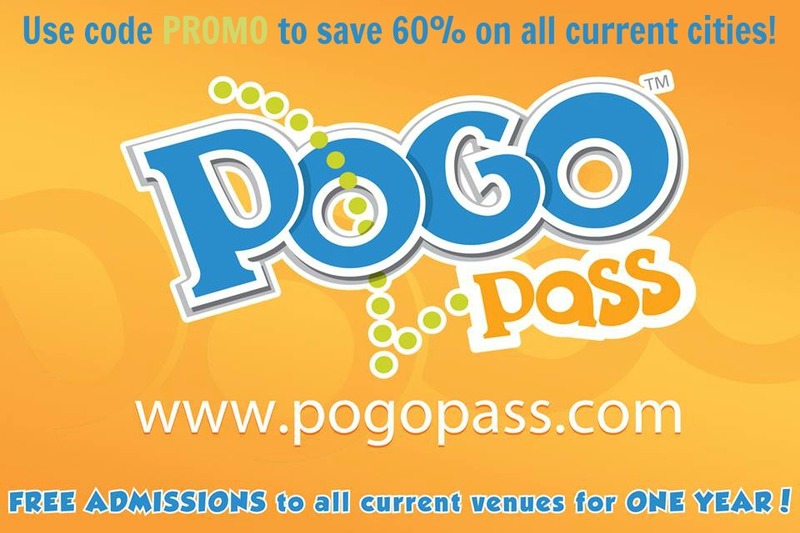 Make sure to checkout the Flagstaff Courtyard Facebook and Pinterest pages. Disclosure: I contacted Marriott to work with them. We received complimentary accommodations for the purpose of this review. As always all opinions are my own.